Playing on hubdub.com is fun. I’m playing on hubdub.com from time to time. 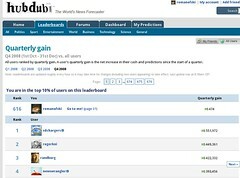 It’s a funny online game of a prediction stock market. People creating questions for upcoming events and you can bet how this event will proceed in real. For example: Who will be the new American president? Obama or McCain? Now it comes to all the news who’ve been floating around. Who will make it. That pushes the chances between Obama and McCain to various percentages. Say, for example, you start at a 12% probability that Obama makes it, while everyone sets on McCain. The more likely Obama will win the race the more money you will make if you sell your stocks. If you wait until the end when the question is settled, you earn the most money. I wasted a bit of my free time to play S.T.A.L.K.E.R. I was fighting myself through hordes of bandits, mercenaries, soldiers, monsters until I reached the sarcophagus totally wasted (small amount of ammunition and armor). 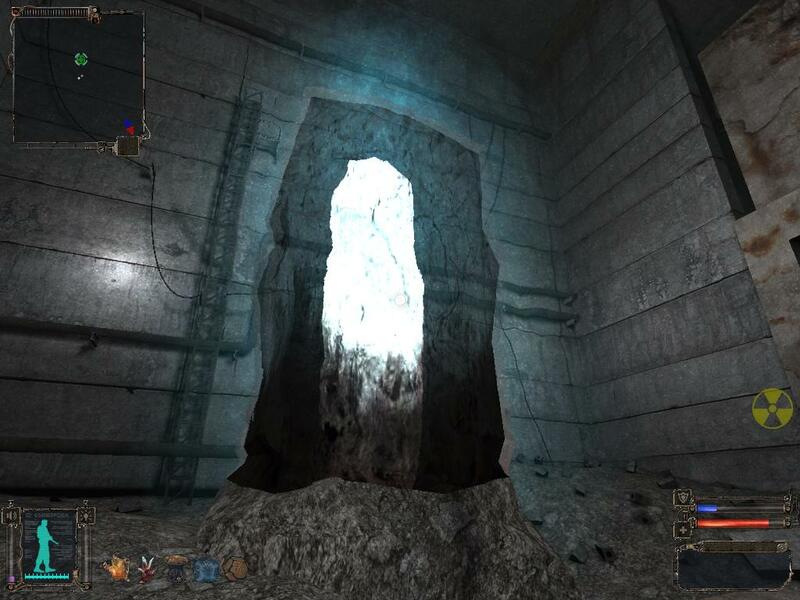 The ending I picked, was to sneak into the sarcophagus of the collapsed power plant of Chernobyl and find the wish granter; a mysterious monolith granting you one free wish. I found it. The ending is a video and the charactarer you’re playing wishes…. “I want to be rich!”. The ending video shows him, rich of screws falling from the sarcophagus hull for a couple of seconds until he dies. Update: I actually found a S.T.A.L.K.E.R. guide which lists all the possible endings of the game. So, it’s not the ending of the wish granter, but there are more endings determined by how you play.